We hoped that these photos will wet your appetite and that you will visit Cornwall, its gardens and the National Museum of Gardening soon. 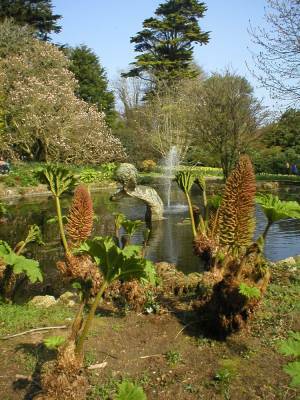 We have no connection with any of the gardens featured in the Cornish Gardens Photos web sites, we just enjoy visiting them and sharing the photos of our visits with others. We maintain this and our other sites on a voluntary basis and no money is made by us as a result of your visit. This is an experience that we are sure everyone will enjoy. Those with whose interests in gardening of engineering will find it fascinating. The wonderful thing is that the tools you see here would still find a market today as would the children's tools and toys. This is the 79th time the show has been held in the St Johns Hall, Penzance. Starting in the 1890's the show is highly regarded by horticulturalists throughout the country. 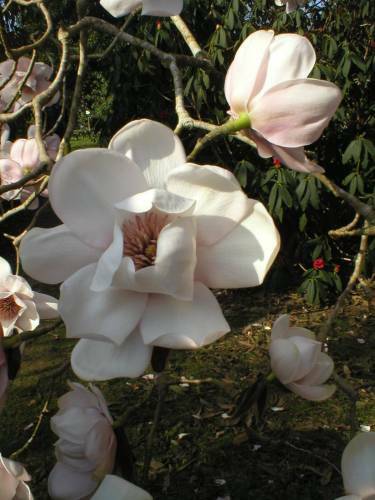 Caerhays is probably the most outstanding plantsman garden in Cornwall. Open daily from mid March to the first week in June. Another of Cornwall's delightful gardens well worth a visit. For the latest weather in Cornwall and to listen on the net click the link below.